From October 12 to 15, 2010, I had extensive and detailed discussions with Fidel Castro in Havana, pertaining to the dangers of nuclear war, the global economic crisis and the nature of the New World Order. These meetings resulted in a wide-ranging and fruitful interview that will be published shortly by Global Research and Cuba Debate. 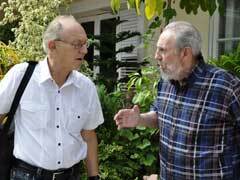 The following message by Fidel against Nuclear War was recorded on October 15. Below is the text of this brief and forceful message as well the video recording. This important message is based on Fidel Castro's analysis and understanding of the dangers of military escalation including the threats (confirmed by statements of President Obama and Secretary of State Clinton) to use tactical nuclear weapons on a pre-emptive basis against Iran.